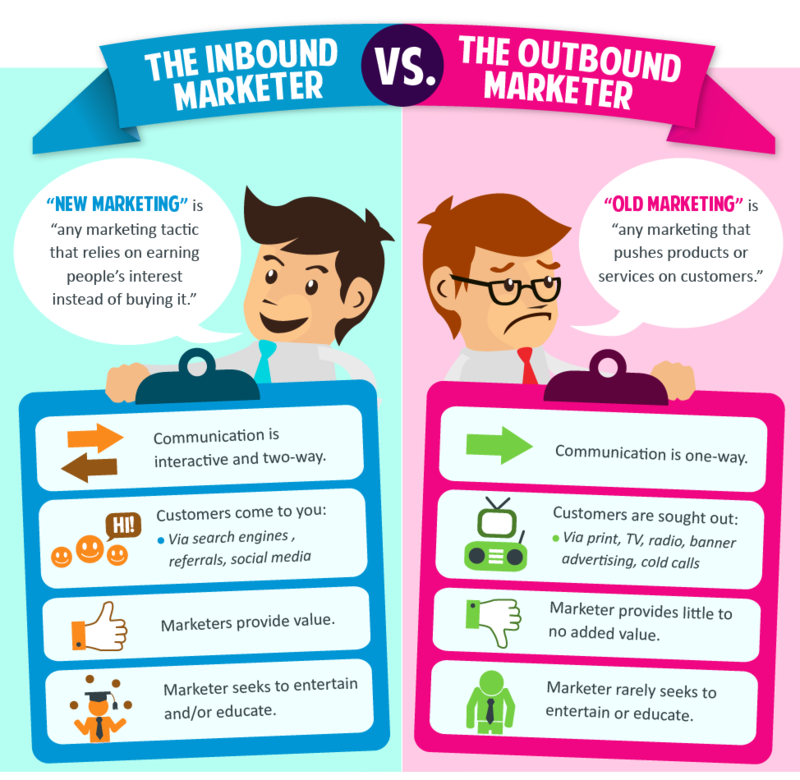 Do you know what Inbound Marketing is? Keen to use inbound marketing to improve your marketing ROI? 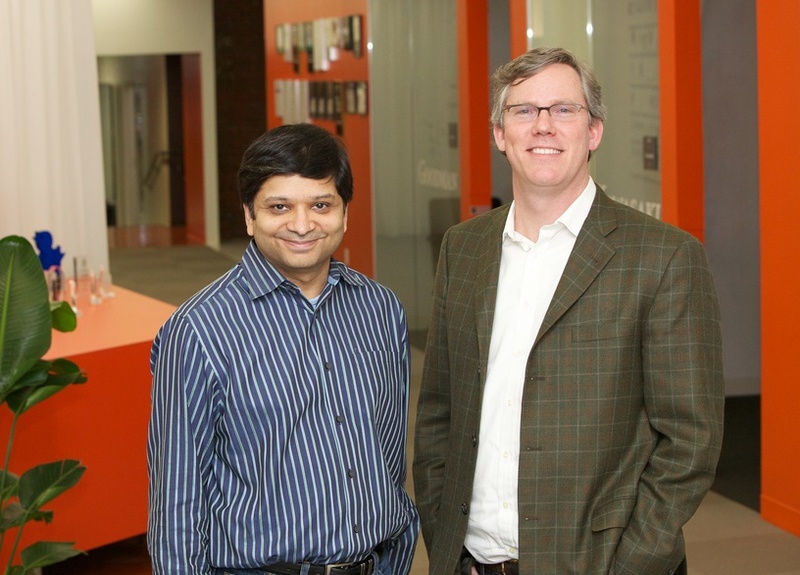 Pioneered by co-founders of HubSpot Brian Halligan and Dharmesh Shah, inbound marketing is a leading Business to Business (B2B) digital marketing strategy. The fact that HubSpot is a NASDAQ listed marketing automation company worth $1.24 billion in market capitalisation is a testimony to inbound marketing’s strengths. 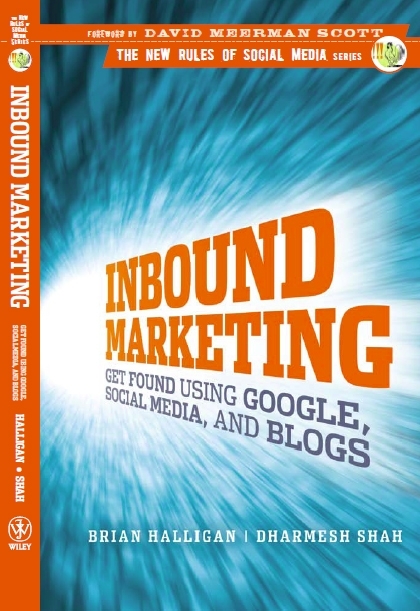 Written by Halligan and Shah, Inbound Marketing covers the fundamentals of inbound marketing, and how one can “get found using Google, Social Media and Blogs”. Spanning the breadth of using content to generate leads, acquire prospects and convert customers, the book straddles content marketing, Search Engine Optimization (SEO), social media and other related areas. Traditionally, marketers use outbound marketing techniques like email blasts, telemarketing, direct mail, TV, radio and print advertisements to reach buyers. Unlike outbound methods, inbound marketing looks at using targeted and valuable content on the Internet to draw customers in. The first step in inbound marketing lies in creating a marketing hub. An inbound marketing hub is a web site that with a blog, offers useful and compelling content, and is connected to “spokes” like email, sales conferences, social media sites (Facebook, Twitter, LinkedIn, Google+), social discovery platforms (Reddit, Digg, Delicious), and others. Content is shared either directly on the website itself, or accessed through RSS feeds. Often such a website would have thousands of links coming from other websites. It should also be graded with tools like a Website Grader. Great content forms the core of inbound marketing. In fact, content marketing is viewed as a subset of inbound marketing. To succeed, companies need to build a content factory and operate like media/content companies (eg Wikipedia, New York Times, Mashable, etc). They should create remarkable content which provides great utility, attract links from other websites, and rank well on search engines. In order for your marketing hub to be found, you need to rank well on search engines (like Google) and be shareable on social media. Let us go through each in turn. From Facebook pages, Twitter accounts, LinkedIn profiles to YouTube videos, the book teaches readers how they should set up their social media accounts and “socialize” their content through these platforms. Best practices in using social discovery sites like Digg and StumbleUpon (a toolbar allowing you to vote for websites) are also covered. 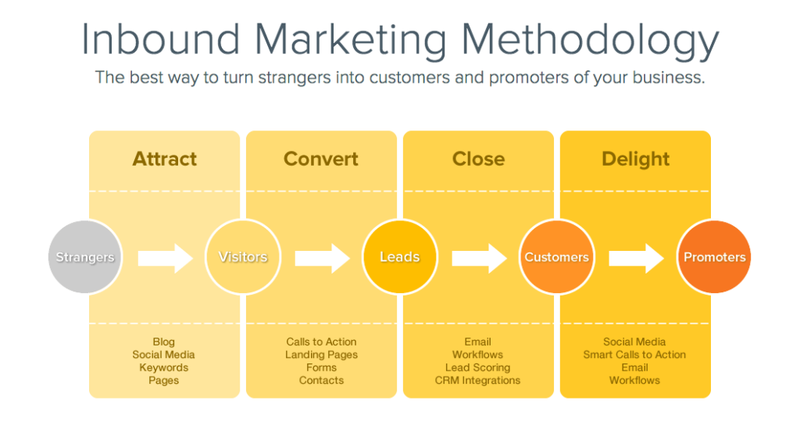 The most iconic element of inbound marketing is the ubiquitous marketing or sales funnel. Through a careful and calibrated process, the book leads readers through the funneling process of converting visitors or prospects into leads, and leads into customers. The landing page is the final step in converting a visitor to a lead. Well-designed landing pages can convert up to 50 percent of its visitors, while a poor ones convert less than one percent. A good landing page matches content on the landing page with the content on the call-to-action (be it on the Google Ad, Facebook post, or email), builds trust with professional design and well-written copy, serves one function, and is simple and easy to fill. Forms on landing pages should likewise have minimal inputs (usually just name and email address at the first stage), be seen above the fold (ie readers don’t have to scroll down), be simple, and instill trust. Lastly, it is important to track the progress of each conversion stage, be it stranger to visitors, visitors to leads, leads to customers, and customers to promoters (advocates). Through web analytics software, you should be able to track indicators like web traffic, sign ups (at each stage), click throughs for CTAs, and more. Talents should then be measured on the four qualities above, graded accordingly, and compensated based on their performance on these variables. Ensure that the PR agency you work with has the chops to execute inbound marketing. They should have digital citizens savvy with search and social, possess a decent website (as measured though a website grader), and have experience helping clients in inbound marketing. Part of the New Rules of Social Media series, Inbound Marketing is an essential guide to B2B marketers keen to embrace inbound and content marketing. Although the book was first published in 2009, its principles are still valid to this day and age. Admittedly, inbound marketing is still pretty nascent here in Asia. The majority of B2B companies are still investing a lot more time and effort in doing cold calls, participating in trade shows, and pitching their value proposition in terms of price-performance as opposed to customer value. Hopefully though this may change over time.